When The Works Theater at Carnegie Science Center in Pittsburgh needed an equipment upgrade for its aging, proprietary automation system it discovered that Alcorn McBride’s V16 Pro top-of-the-line controller filled the bill. Carnegie Science Center is dedicated to educating, entertaining and inspiring through programs in science, sports and technology. 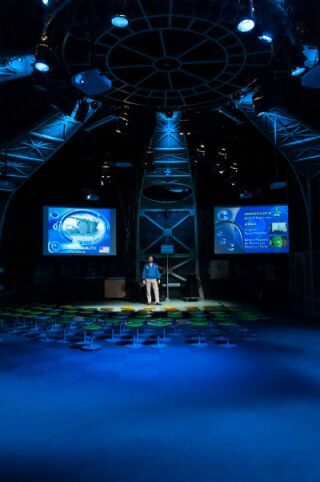 The Works Theater showcases demonstrations in a one-of-a-kind industrial setting.